KingRoot supports most variety of devices among all the similar rooting tools. So, it is most likely that KingRoot can root your device even if other similar tools failed many times before. PLEASE READ INSTRUCTIONS AND WARNINGS ABOUT KINGROOT BELOW. Your device can be bricked/damaged during or after rooting. We won’t be responsible for any damaged caused by use of KingRoot to your device. If you are not not confident of taking risk, maybe you should wait sometime before rooting and do some research first or try our safest method: Root any Android device- 100% SAFE & 100% GUARANTEED. The following guide is about KingRoot for android, If you want to use KingRoot for PC please Click Here. If your device displays “Installation Blocked” or something like this message then Go To Setting > Security > and there you can tick the “Unknown sources” box. 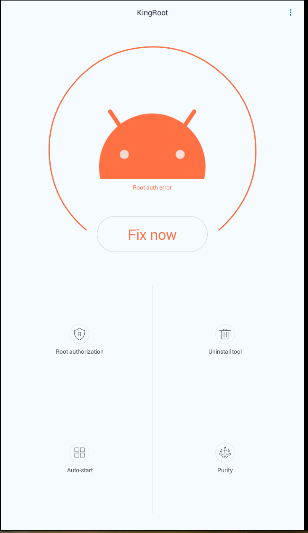 In the window it will show you “Start root” or “Fix Now”. If your device is compatible, it will finish rooting after few minutes. If rooted successfully, you will see “rooted” screen which means you device has been successfully rooted. Congrats!!!!!! You can now enjoy all features of rooting your android. To become more sure, you can go to google play, search and download Root Checker app to Check if the Root is successful. You are always welcome to share your experience or errors in our comment box. If you are still confused, you can view screenshots at the end of this page. When you purchase an android device, it comes with a number of apps that you may need or maybe completely useless. They occupy a lot of storage in your device and cannot be uninstalled. These apps are called Bloatware. As mentioned already, you cannot remove these apps in normal condition. This is the situation where you need to root your android. By removing Bloatware, you can save a lot of system memory which is crucial for any device. Moreover these app may run on background and use your battery and RAM. So removing the may increase your battery life and make your device faster and more efficient by freeing more RAM. Warning: Some of the apps, though you never use, may be required for the proper functioning of your device. We recommend you to backup your apps with Titanium Backup before uninstalling any system app. After you root your android, download Titanium Backup or any of the system app remover application from Google play store. If you download Titanium Backup, open it, wait for apps to load and tap the app you want and tap uninstall. BOOM! You are done. Whenever you play any game or use any app there will be annoying ads waiting for you that hamper your experience. Though these ads are the reason we are able to use hundreds of thousands of amazing free apps but there are many developers who are going too far. 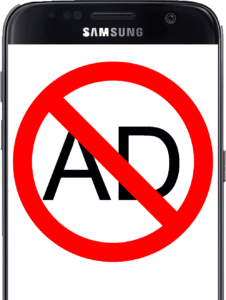 Many apps show intrusive ads and pop ups or ads on notification even when we are not using them which is very frustrating and sometimes they also install malware. Your phone is doing many tasks than you can possibly think about. Unless you turn off your device, your device must work constantly each second for proper functioning such as it should continuously receive mobile signal, display time, run many background processes, etc. It is not a surprise that the battery drains too fast or at least faster than you’d expect. Though in normal condition the only solution to this is recharging battery or carrying Battery pack but with rooted android you have some options to improve battery life. To improve battery life on your rooted android, you can use apps like Greenify, Amplify Battery Extender which will work only after rooting with KingRoot. You can also save battery by removing Bloatware as discussed before. 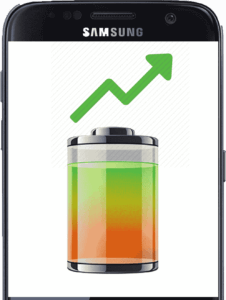 Greenify improves battery life and improves efficiency of your android by putting apps, that use a lot of resources, on Hibernate mode. Hibernating is the method where any app becomes idle when you are not using it. It means that your user experience is not hampered or you won’t feel any difference on using any app but improves battery life. Amplify Battery extender also works on same way. It detects the app using a l0t of CPU and GPU on background and restricts them. Since most of the battery is lost on maintaining those resource-hungry apps, you will feel great improvement in your battery life. Though you can backup apps or games on your device easily without rooting, you cannot backup the data app is using. It means that whenever you restore the apps from the backup, it is same as installing from Google Play. After rooting with KingRoot, you can also backup the data from the apps. It means after restoring the app, you will completely get exact same app at exact same condition along with your settings, login details, etc. This kind of backup is much more useful than the normal backup and is much easier and faster. How to completely backup apps and games after rooting? After rooting with KingRoot, you can download Titanium Backup on your device from Google Play Store. Titanium Backup is an amazing tool that helps you to backup apps and games along with their data. 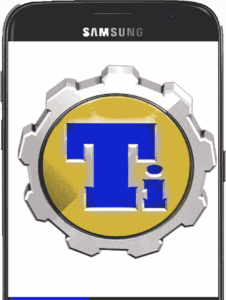 Download Titanium Backup from Google Play. Install it and grant root access. Now tap on Backup/restore tab on top of it. Tap on app you want and on the following screen tap on backup. Wait some seconds and you are done. You can either restore app only or data only or both app and data at once. To restore any app/data, tap on the app. You can see a restore option, tap on it. You will be then requested to choose Data Only/App Only/ App+Data. Choose any option and you are done. Android is always known for its customization and this is the most pronounced advantage of android over iOS. After rooting your device with KingRoot, you can reach newer heights of customization. KingRoot uses an advanced technology that allows you to root your phone and open it up to more possibilities. Since you are gaining root access, you have full administrative privileges in enhancing the way your phone looks and functions. In particular, you can install custom ROM to your Android device once you have rooted it. This modified and feature-rich version of the Android OS includes additional features, unique themes and tweaks that all account for enhanced mobile device performance. 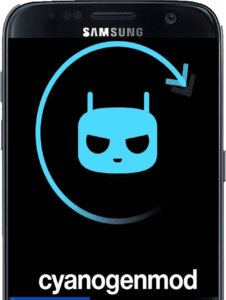 CyanogenMod, for instance, is among the popular custom ROMs available for rooted phones, which offers interesting features including lock screen gestures, DSP equalizer, CPU overclock and underclocking, and a complete theme engine along with its very own theme store. Another excellent custom ROM you can find is Paranoid Android, which offers UI customization, floating notifications and multitasking, gesture controls and hidden navigation PIE mode. Keep in mind, though, that it only supports a limited number of Android devices including Oppo, OnePlusOne and Google Nexus. By rooting your phone, you can use an unreleased version of Android without any limitations. Customization is only possible with rooted phones considering have certain restrictions in terms of the availability of these newer versions to mobile devices. Hence, by using KingRoot, you have an opportunity to make your device more personalized for an enhanced browsing and overall user experience. HOW TO ROOT WITH KINGROOT USING PC? Some users ask questions like why does KingRoot has an PC version when there is an independent android version that can root android without PC? This seems to be somehow logical but PC version is also useful PC version of KingRoot supports way more devices than android version. For example, in this site, all you can do is view posts and comment on it, you cannot edit posts and delete them because you don’t have root access to my server. This is similar to android, in android all you can do is install and delete ONLY the apps you downloaded from play store and view only the data, files and folders that android allows you to. But, if you gained root access you can delete any app you want, and view hidden files and folders. Also, you can install many kinds of apps that provides amazing features such as Titanium backup, link2sd, Greenify etc, which you can’t install on unrooted devices. Ans. It is up to you to decide. Actually, few people brick their device during rooting and now you can also root your device with 100%safe method. So I think there is not much to worry about, but if you fear so much, please google whether people got error while rooting the device you are using. Q. DOES KINGROOT SUPPORT ALL THE ANDROID DEVICES? Ans. Kingroot doesn’t support all the models but definitely it supports most of them. Kingroot supports highest number of devices than that of other android rooting tools. Q: Why KingRoot cannot be removed? A: This situation always happened on some devices with system protection mechanism such as SONY, HUAWEI and so on. Sometimes, root strategy only can close these system protection mechanisms temporarily during root process. That’s why KingRoot can be installed. However, after root finished or device reboot, system protection mechanism will enable again. After that, system cannot be mounted. That’s why KingRoot cannot be removed. Q: What can I do if KingRoot cannot be removed ? A: If you cannot remove KingRoot , please try to force stop KingRoot, clear data of it and root device with KingRoot again. Then unroot it immediately. Q: HOW TO REMOVE KINGROOT ? 1. Open KingUser and enter “Settings” menu (top right of home screen). 2. Enter “Root authorization setting ” (second one). 3. You can find “Remove Root permission” option (fourth one). 4. Click it, and KingUser will be removed automatically. Q: DOES KINGROOT ON SAMSUNG TRIG KNOX FLAG TO 0X1? A: Technically, using KingRoot app to get root will not trip Knox flag to 0x1. Unfortunately, we cannot test for all of you. All devices we hold have flashed ROM before. Attention please, when you use KingUser, it will reminder you to close Knox, we can’t make sure what will happen if you close it because of reason above. So, if somebody rooted by KingRoot and didn’t flash any third-party ROM, please post a result of Knox flag here to let others know what happened. KingRoot is the most popular and most downloaded one-click rooting tool for android. Though some people still fear about it, rooting has become common thing to most of the android user. Rooting allows you to enjoy the features which normal device users can’t even dream of. KingRoot has helped millions of users worldwide to get their device rooted. You can share your experience, issues,or any kind of questions in our comments section. We will be happy to help you and also try to help you as soon as possible. 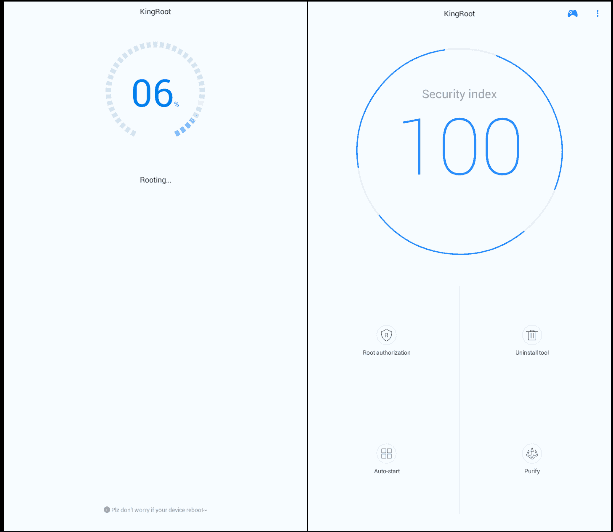 KingRoot (authorization management), more than 150 million users recognized a key Root APP, it is a good helper management Root privileges, get Root support 103,790 mobile phone, use a full-featured Android, is so easy! Thank you very much for visiting our site. If you rooted your device successfully, please don’t forget to share our site KingRoot Download on Facebook, Twitter or any social sites you follow.